Veteran Akita dog's owners can see through at once by long and deep experience that a newborn puppy has powerful eyes or not. Look at the photos of left. 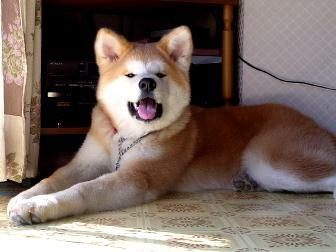 The Akita dog is the best dog in a veteran owner who lives Akita pref Odate city birth place of Akita dog. 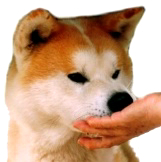 The Akita has big scale and wonderful face, balance, color and etc. One of judges said to the owner, "Why don't you join the Honbuten =national convention in Japan= with the Akita? 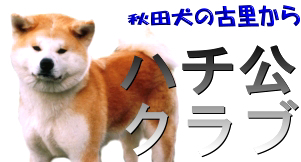 If you will join it, the Akita will get the meiyosyo =honorary title in the king of kings= without fail". The owner was said by one of judges with scorn when the Akita was puppy, "The puppy's eyes are so small. So you will never get the victory with the dog". But the judge was so surprised at the Akita in one of the contests about 2 years later. 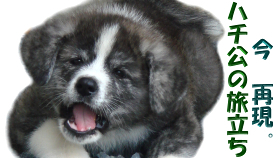 The judge asked a question to the owner, "Is it same Akita with that puppy?" Of course, the Akita got the place of champion leisurely. The owner didn't say to the judge. Because he didn't hope to hurt judge's pride. So he said to himself,"I knew the Akita will have powerful eyes since he was born". Look at the 3 photos of the left. There are several types of eyes. We'd like to introduce about eyes of puppy. If you have power to see through, you will say, "How wonderful the puppy's eyes!". The puppy's eyes look like small. But It is different from small intrinsically. There are "Sokome" and "Itome" in the type of look like small. Sokome has power in the lower eyelid. So the eyes increase the strength as it grows. And the lower eyelid doesn't sag even a certain number of years. There are Akitas that hang their eyelids few years later even if getting Meiyosyo. The veteran owner explain about it,"The reason why they don't have Sokome". The cause of hanging the lower eyelids is family line. How can we distinguish between Sokome and Itome? It needs high level tecnic. But in a word, Sokome has a "mountain" on the upper eyelid. If it doesn't have the "mountain", it is Itome. On the other hand, big round eyes are the most mediocre eyes. When veteran owners see such the eyes, almost think at once, "it is impossible to get the victory in contests". But almost primitives who buy an Akita dog for the 1st time like such the eyes and say "So pretty". We have focused on eyes im this corner. But there are many examination locations in Akita dog's contest. The judges have to examine many or some Akitas in a short time. So they mark with a focus on best and worst point. Among them, eyes are the parts of making an appeal. The Akita which has powerful eyes give big impact to judges. The powerful eyes are dependable "weapon" in contests. Furthermore, we have explained about only red Akita's eyes. Tora and white Akitas have their own eyes. 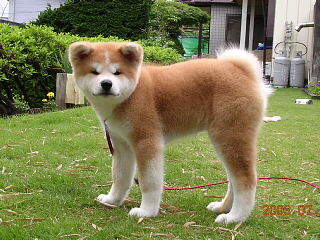 It is difficult that we hope the eyes just like red Akita's eyes from Tora and white Akitas. But it is possibe that we make nearly eyes to red Akitas by the method for the mating. Tora and white Akita's eyes can't get victory easily to excellent red Akita's eyes.